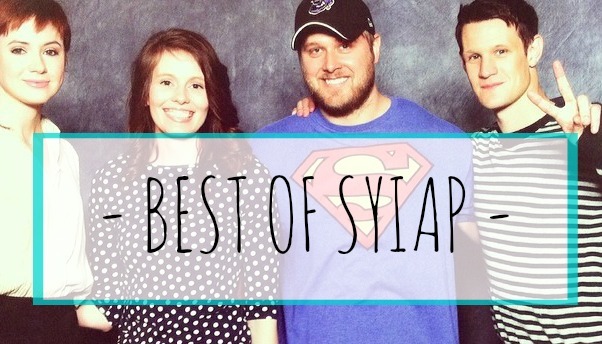 I like to spread these posts out a bit so you all don't get bombarded with book posts from me, but when Steph & Jana said they were doing a link up, I just had to participate! I read the first 3 last month, and the rest are from the last 10 days.. Some people ask me how I read so much - I am not sure if they actually want to know, but I am going to answer anyway. I don't have much of a life - and that's not a bad thing. I work Monday-Friday, try to workout, and occasionally do fun stuff. But mostly, I'm home every night and weekend and if I let myself, I'll waste away on the internet. I don't like when I do that, I feel sluggish and like I didn't do anything, so I read. I read at night, I read on the weekends, I read on my lunch break.. I listen to audiobooks when I drive or workout.. I read a lot. I know I am a fast reader but it's more than that - reading is a huge part of my life and it's something I need to do everyday. 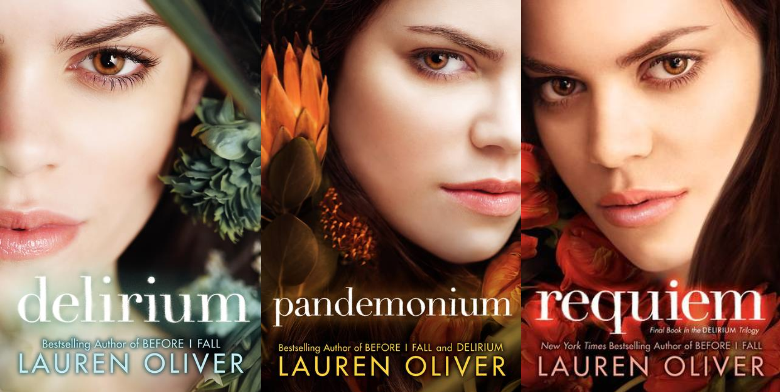 I enjoyed the first two books more or less but the last completely ruined the whole trilogy for me. The ending was lazy, pointless and downright insulting to the reader. The books were fairly well written, though not without flaws and sorely lacking in character depth or development. I would give 3 stars for the first two books, and 2 stars for the last. I thoroughly enjoyed this series. I devoured it in 24 hours. I am giving it 5 stars based purely on my enjoyment and not whether I think it's good literature or not, but honestly I enjoyed it so much I don't even care if it's fluff. Considering I don't like watching the bachelor and all those shows I am surprised I enjoyed this so much. I think it was well written, I loved the author's acknowledgements at the end of each book and I can't wait for the next one. Read the first one for the winter challenge (15 points). I love Abigail Reynolds books. P&P variations are my jam and I think she writes really well. Short stories are not my jam and I just didn't feel attached to any of these stories, her longer ones are much better. But for what it is, still good. Read for the winter challenge (10 points). Ugh I'm sorry but this book was not good. I expected a fast, light and easy read, and while it is certainly that, I just can't recommend it. Yeah she was 14 and I was just like her at 14, but I don't like reading about annoying, frustrating, silly girls. I was one. It was boring, predictable, repetitive and the religious stuff got old fast. Read for the winter challenge (15 points). This book was not very good, even though it had such potential. It had all the right plot elements that make up a love story, but fell flat. It's slow and repetitive, pages and chapters went by with NOTHING happening. Also, there is nothing in the synopsis about this being religious fiction and I would not have read it if I had known - it felt fake and forced, like the book didn't actually have a plot to make the book move forward, everything was because of god's plan, not the characters decisions. I got a free copy of this book via Netgalley. Read for the winter challenge (10 points). After loving Me Before You, I had high expectations for this book... and they really don't compare. They are such different books and each hold their own. I think I liked this one a bit more though. I am not a fan of dual narratives and I especially do not like when there is a time difference between the stories. I didn't love Liv immediately, I wanted to know more about Sophie. I eventually grew to love Liv and her story, but not as much as Sophie's and I would have been happy if the whole story was from Sophie's POV but I understand why it wasn't. I can't say much without spoiling, just that I absolutely think this is worth a read, a really fabulous book, tears and smiles and all the emotions. I can't wait to read more by JoJo Moyes. Read for the winter challenge (25 points). This book was the definition of light and fluffy. It was slightly predictable in some areas, unpredictable in others. It doesn't have the best reviews online but I actually enjoyed it, maybe because I had read a couple of not great books before it. I would recommend this one if you're looking for something beachy and easy. It's definitely not life changing but if you take it for what it is, it's a good book. Read for the winter challenge (half of 30 points). This book is entertaining and sweet. I can relate to a lot of her expat woes, even though there is no language change for me. She said at one part that she wasn't really American anymore, she had changed. That's how I feel - being an expat is hard to explain. You love both, you identify with both. 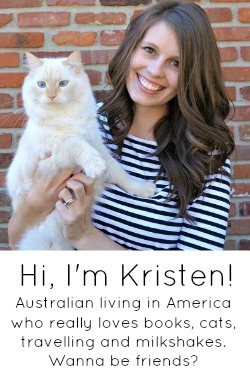 I am Australian around my Americans, I am American around my Australians. 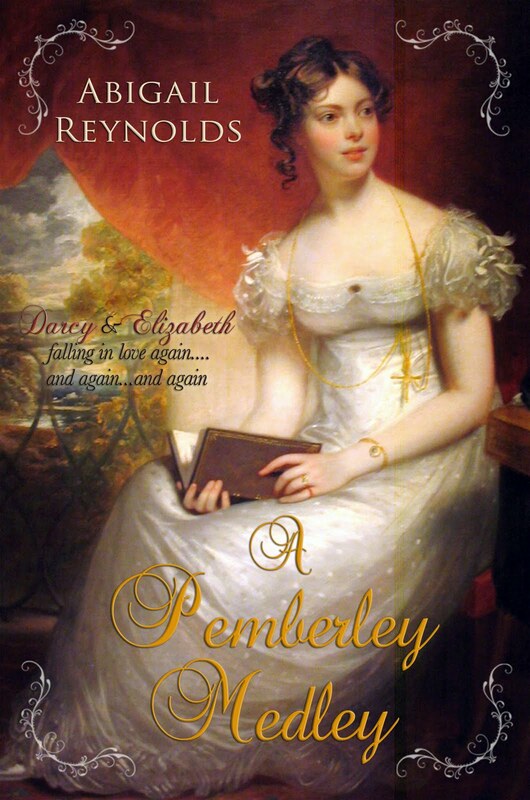 There is a Pride & Prejudice reference fairly early on, which deserves a star all on it's own. Other than that, the main character kinda bugged me a bit and even if it's not fiction I still want to like the characters and the relationships, but I didn't really. Read for the winter challenge (half of 30 points). This is the sequel to the very enjoyable The Rosie Project and I got an advance copy from Netgalley. I read this book very quickly and definitely enjoyed some parts. To be honest, it was much more serious than the first and i felt like the characters were very different than the first book. I felt like Rosie's character wasn't as big a part of this book as in the first and I missed her. She also seemed to have changed a bit. I know she was pregnant and that would account for some of her feelings and actions, but how she got pregnant seemed a little... not smart (spoiler-ish). That being said, I did enjoy this book and I really wanted it all to work out in the end, but only because I loved the first book so much. I'd just stick with The Rosie Project if I were you.This is my freebie for the winter challenge (5 points). So as you can see, I read quite a few books for the challenge, and my total points as of today are 110/200. I have done 7 categories, and I have 5 left. Not bad for 11 days in. Skimmers, if I could recommend one of these books to you, it would be The Girl You Left Behind. Read anything good lately? Or if you are doing the challenge, how are you going? I have a love/hate relationship with trilogies. I always get sucked into them and end up loving the first two books and then am usually disappointed with the last. I'll have to check out The Selection series though! I seriously don't know how you read so many books!!!! I read at night a little, on my lunch break (if I am alone, sometimes my coworkers eat in the break room with me so I try not to be rude) and on weekends in the mornings before Chris wakes up. I am lucky I do two or three book in a month. Where do you get your audio books from? I have thought about listening to some in the car since I seem to always be in it! Ooh there's so many great books here! I'd love to read quite a few of them! I do love to read but don't have much time for it these days. I am getting through the first Game of Thrones though, and loving it! I loved The Rosie Project - how did I not know there was a sequel?! Putting it on hold at my library right now! I agree on your comparison of The Girl You Left Behind/Me Before You. They are both forces in their own right. And Liv's story was more compelling. 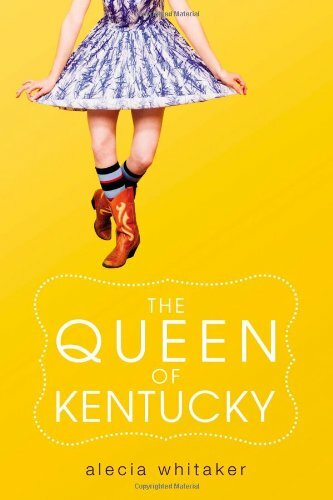 That Kentucky book was on my to read list. It sounds like I'd hate it. I won't waste my time! I loved the first Rosie so the second is on my list. Thanks for linking up! I always like to see what you're reading! i'm in a bit of a pickle because my library - who has been all ghost protocol for MONTHS (ie. since july!!) - suddenly woke the f*ck up and sent me all of FIVE books at once. one of them is The Girl You Left Behind. how am i ever going to read all of those books in two weeks?? Wow I'm so impressed you've already read so many books for the winter book challenge!! I'm not even at half of my first book! I love the idea of this linkup and am definitely going to linkup with them next month. So many good books in this post-- or books I want to read. I think I'm going to order The Girl You Left Behind because I've loved her other books so much. Breakfast at Darcy's sounds so cute too- sometimes you just need a nice light book like that! You always give me such good book ideas! I am sadly not reading anything at the moment besides textbooks but I am so looking forward to building my holiday reading list. I have a month and plenty to get through. We have such similar taste in books. :) It helps me want to push through and finish my 50 book challenge. I am so glad you liked The Selection series. I completely devoured it too. Such an entertaining read. 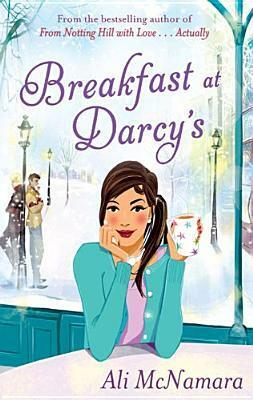 Putting Breakfast at Darcy's on my list of books to read!! I love me some light and fluffy reads!! I added the Selection series to my "want to read" in Goodreads. Thanks! I loved Fangirl this month. Loved loved loved. The Rosie Effect is definitely on my to-read list and I think I added the Jojo Moyes book but I need to double check. I read a ton, too, because I'd rather read than do almost anything else. Thanks for linking up! I always enjoy your books posts! I love your recommendations. 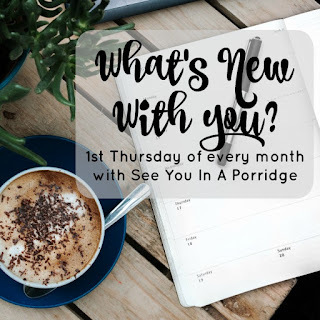 I'm finishing up some books now and need to join this linkup! Holy Moly you read a lot. I have the Rosie Project and The Rosie Effect on my list to read soon. Sorry you had so many less than stellar books, that is a bummer. Love these posts! I am in desperate need of a book that is not preggo related haha Thanks for the reviews as always!! You DO read a lot! Hey, if that's what you enjoy doing, then I think that's awesome. 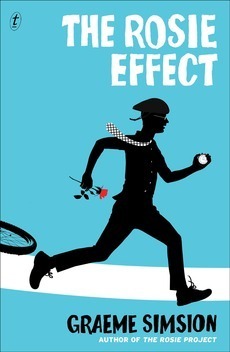 I definitely want to read the Rosie Effect soon -- I loved the first book and I think there's a movie coming out? Always gotta read the book first! Wow, you're doing so well on the winter challenge! I'm only on my 4th book but I'm still waiting for some to arrive so I've been reading other things instead. 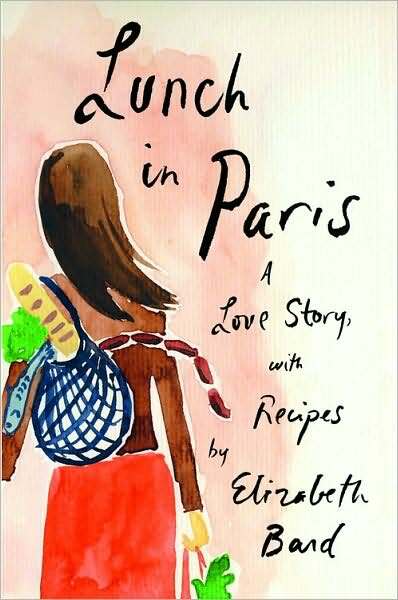 I might read Lunch in Paris. Reading about other people's expat experiences is always interesting. Glad to see The Girl You Left Behind was a big favorite! It's on my list for sure! I meant to do this linkup... but it would be pretty much all Harry Potter. I'm SO CLOSE to the end of Deathly Hallows right now, but I'm also working on editing a 400-page novel that I have to have done by Friday so I'm splitting my free time (LOL WHAT EVEN IS THAT) between the two. After this hopefully I'll speed through a couple novels for the winter book challenge! I love how fast you read!!!!!! I want to read the selection series myself! I just started The Girl You Left Behind for the winter challenge today! I really want to read the Rosie series, too! Thanks for the ratings- it helps me narrow down what to check out/not bother with! The Girl You Left Behind kept me up until 3am! Did you read Honeymoon in Paris, the companion book? I loved that one, too. I didn't realize that there was another book like Me Before You - not sure if I want to read it or not. I am planning to read The Rosie Project. Oooh I love the reviews... I need to get to reading now while I am unemployed. I am currently spending all day on the computer doing job search and blogging related things. I need a book break!!! Wow. I thought I read a lot, but you are amazing! The Rosie Project and Jojo Moyes books are on my "to read" list. The book I've most enjoyed this month is Mockingbird by Kathryn Erskine (song lyrics book for the winter challenge). It's a story told from the perspective of a fifth-grade girl with Asperger's with lessons on loss, grief, friendship, and empathy. It's a quick and easy read. First off, I love the new blog design! Secondly, I love your book posts. If you like random young adult trilogies, I just started a new one (the 1st one is called matched) and its a fun breezy read so far! Breakfast at Darcy's sounds like it would be super cute but it sounds like I need to read the girl you left behind! Yesss, more books to read! I need to finish the book I'm reading now. I read the first Selection book and I remember enjoying it a lot, so I want to check out the other ones. You've probably answered this before, but do you read on a tablet? Howwww do you have time to read so many books and blog so consistently and comment so consistently?? Tell me your secrets! Okay, over Christmas I am making it a goal to finish my current book and read something from the Selection Series I need something light and fluffy next! Oh my gosh, you read a whole series in 24 hours?! And I was proud of reading a full book yesterday on my day off, hahaha. 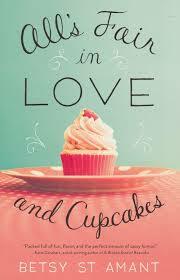 I'm disappointed that you didn't like All's Fair in Love and Cupcakes, because I put that on my "to read" list :( didn't realize it had a religious factor... hmm! I really want to read those Jojo Moyes ones :) I love this link up!! AH! I'm still working on the The Help. I might be halfway and I've been trying to read it with a purpose. I even sat outside today in the hammock reading. I cut myself slack since its over 500 pgs. I just finished Ilona Andrew's book Burn For Me (hidden legacy #1) and it was excellent. I pretty much like her other series, but I really like this one so far. I read the firth two in the selection series, but never read the third. Is it worth it? Adding these to that ever growing list of mine! Girl after my own book loving heart! You rock kris! I read a lot too and I can never understand why people don't read more! There are so many entertaining and awesome books out there. Technology has also made it so much easier to read practically anywhere. I haven't read The One yet, but I devoured the first two books. I love that it combines some of my favorite things, royalty and reality tv. I'm becoming obsessed with Jojo Moyes. Me Before You was one of the best books I have read this year. I read One Plus One afterwards and didn't love it quite as much, but I love that she tackles difficult topics and creates characters that are fairly easy to relate to. I completely agree, thanks Emma! 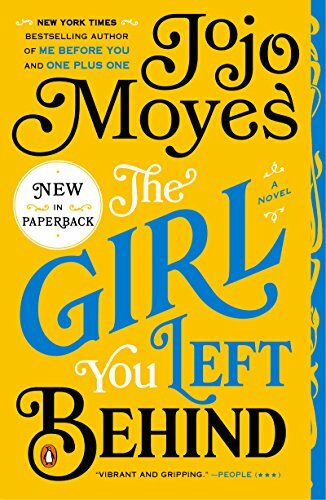 I am obsessed with Jojo Moyes as well - I have only read Me Before You & The Girl You Left Behind, and I am trying to go slowly with a bunch of books in between so I don't compare them too much lol. She is a brilliant writer! I just finished The Selection series and though it was OK. The second book drove me crazy; I couldn't stand how horribly the love triangle was done.